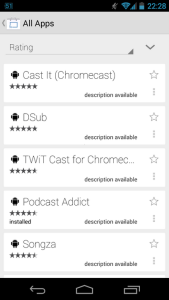 A catalog of all Android apps which have Chromecast support. It isn’t a specifically a Chromecast app but it’s the most comprehensive listing of apps available. The developer seems to be doing a good job keeping it up to date, the list has grown every time I’ve checked. 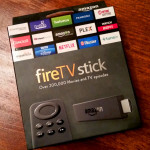 With development exploding this app will become invaluable to all Chromecast owners. 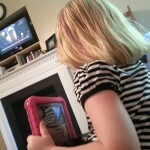 Draw on your phone/tablet and mirror it on your TV in real-time. This app is so simple and yet incredibly great. 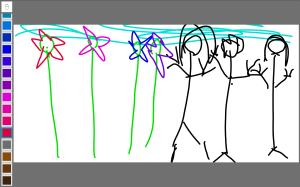 It functions like a digital whiteboard. You get one brush style and your choice of Black or Blue Ink. My kids have been having a blast with this one. I found a good use for it helping my son study with makeshift flashcards. You can unlock more colors with a one time in-app-purchase upgrade to “premium” and the developer promises more features in the future. I recommend paying for premium now to show support and keep them going. A derivative of the party game Cards Against Humanity, the party game for horrible people. If you haven’t played this game before, head over to the website because any description I give won’t do it justice. 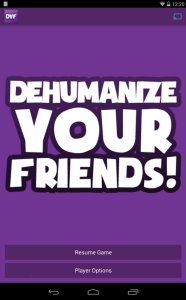 Dehumanize Your Friends! takes the Cards Against Humanity concept to your television. This one requires at least 3 players and the more the better. It’s also a great example of multiple devices linking to a single Chromecast at the same time, something I didn’t realize is possible. There’s great potential for party games on Chromecast and this is a great start. 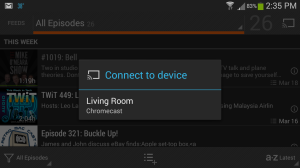 Stream the TWiT network with your Chromecast. I watch a few TWiT shows regularly and this app brings them to my Chromecast. Navigation is simple and video controls work as any other Chromecast video app. BeyondPod is by far my most often used app. I consider it the best podcast client for Android. It was amongst the earliest adopters of Chromecast support. When I’m doing work around the house I often push my podcasts to the television for better sound. It’s also less clumsy than flailing around earbud wires. 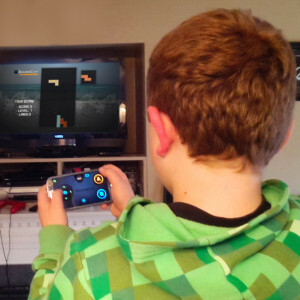 I love the concept of this app, using ChromeCast as a game console. 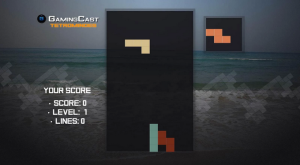 GamingCast has its own take on 4 very simple games: Tetris, Pong, Snake & Qix, with a promise of more to come. However the execution is very poor, especially for a $1.99 app. The games themselves don’t over-promise and perform exactly as expected. Where GameCast falls short is its control implementation. Gamecast turns your phone into a nintendo-style controller, A & B buttons with a D-Pad. The problem here is the tactile-less touch screen makes it nigh impossible to press the buttons while looking up at your television. A simpler control scheme using halves or quarters of the screen as buttons, or a slower-paced game like an RPG, would make for a great Chromecast app. 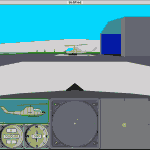 This entry was posted in Media Server, Retro Gaming, Reviews. Bookmark the permalink.